Check timetables and plan your journeys a few days before the event – don’t leave it until the last minute. These are important messages from transport leaders as the Liverpool City Region gears up to welcome back the Giants for Liverpool’s Dream – their third and final visit to the streets of Liverpool and, for the first time, Wirral. Hundreds of thousands of people are expected to join the event, taking place between 4th and 7th October, placing a significant increase in demand on public transport services during the four days – as well as close many major road routes. City Region transport providers have worked together to put plans in place to help keep people moving and there will be changes to some services and timetables as a result of the event. Whether they travel by rail, bus, ferry or car, anyone travelling to, from and around the city region during this time to either enjoy the events or for other purposes are strongly advised to check timetables, plan their journeys and allow extra travelling time to avoid disappointment. For the latest information about services, customers should check with the relevant transport operator in the run up to and on their day of travel. Information will also be available online and via social media. There will be extra staff from a variety of transport providers deployed at key locations during the four days to provide information and support people with their journeys. Friday 5th Oct – Commuters are advised to check for any changes to their usual timetable and need to be prepared to make changes to their journey. Sunday 7th Oct – Fans travelling to and from Anfield for the Liverpool FC vs Manchester City game which kicks off at 16:30 are advised to allow extra travelling time and be aware of these key changes to our services – especially in and around Liverpool City Centre. Thursday services will run as normal, passengers are advised to check their last train times before they travel. There will be changes to services on Friday 5th, Saturday 6th and Sunday 7th Oct.
A special events timetable will run and passengers are encouraged to visit the Merseyrail website or pick up a leaflet from any staffed station. Trains will not stop at all stations to allow for additional and more frequent services. RMT strike action on Saturday 6th October will impact Northern services – all customers should check the Northern website before travelling. Timetables should be available from Tuesday 2 October. Northern will have a fleet of standby buses available throughout the event to provide extra capacity. Trains will be running but check with operators for the most up to date information. The station will be incredibly busy during the event, there will be crowd control measures in place, queues will be likely. This will ensure that Network Rail and train operators can keep passengers moving safely. Buses will be running but there will be diversions to routes due to road closures and services may be subject to delays – especially in and around Liverpool City Centre. Queen Square & Liverpool ONE bus stations will be closed for some periods during the event, there will be alternative drop off and pick up points notified in advance. The Mersey Ferries will be running as normal on Thursday 4th and Friday 5th Oct.
On Saturday 6th and Sunday 7th, River Cruise Explorer services will be suspended to allow for two shuttle services to run about every 20 minutes – one between Woodside and the Pier Head (09:30 to 18:40) and one between Seacombe and the Pier Head (09:20 to 18:50). Commuter ticket prices will apply. The Wallasey (Kingsway) Tunnel will be open as usual. There are planned closures at the Birkenhead (Queensway) tunnel which will see the closure of the Liverpool Dock branch exit closed. The route of the Giants in Liverpool sees them very close to the Tunnel entrance/ exit in Liverpool on Saturday 6 October – which could lead to temporary closures for crowd safety reasons during the day. Plan ahead- due to large crowds being expected,. For the majority of the time it will be impossible to see all of the Giants at one time so plan ahead, decide where and when you want to watch the event and how you will get there. Use public transport where possible to avoid congestion. Check timetables – before and on your day of travel, be prepared for some changes to services leading up to the event. Use journey planners. Be patient as services will be extremely busy, expect queues. “Our Arriva bus routes and times will stay the same during Giants Weekend, however some routes will have take into consideration road closures & diversions across the City Centre. We advise passengers to check our Arriva Journey Planning app for more information and, where possible, pre-purchase their travel tickets to ensure further ease for their journeys. If you’re travelling within the Liverpool City Region, you can use the Merseytravel journey planner to see your travel options, including rail and bus. Keep up with the latest Giants news, see the full route and download a copy of the route map at www.giantspectacular.com or on Facebook or Instagram. 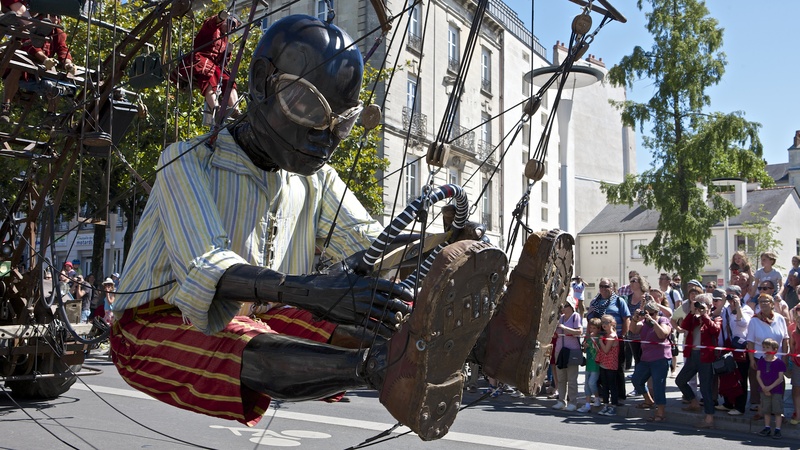 Follow @giantspectacle on Twitter.